Sand Beach! Crystal Clear Water! Sunsets! Rustic yet Modern Home! 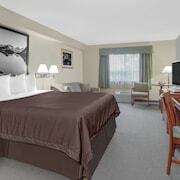 Where to find Goulais River hotels near an airport? Where can I find hotels in Goulais River that are near tourist attractions? Are you planning to spend some nights in Northern Ontario? Hoping to find a hotel in or around Goulais River? There are 3 Expedia-listed accommodation options located within a 0.1-kilometre (0.06-mile) distance of the heart of town. There are several accommodation options that are within a short stroll from Goulais River's city center, including the Blueberry Hill Motel and Blueberry Hill Cottages - Campground. 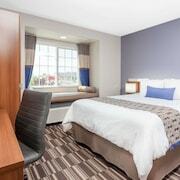 20 kilometres (13 miles) away from the middle of Goulais River, is the Delta Hotels by Marriott Sault Ste. Marie Waterfront. 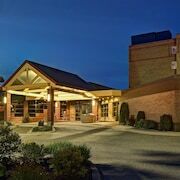 The Algoma's Water Tower Inn & Suites is situated 18 kilometres (11 miles) away. 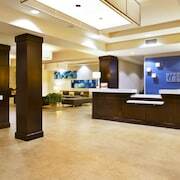 Alternatively, make a booking at the Holiday Inn Express Sault Ste Marie or the Quattro Suites & Conf. Centre, an Ascend Hotel Collection M.. Looking to travel a little further afield? Northern Ontario has many things to see. Northern Ontario boasts forests, rivers, lakes and mountains. Popular Northern Ontario tourist destinations include old towns and art museums. Active travelers can enjoy snowboarding and skiing in this part of Canada. Looking for things to do? Spend a few hours enjoying Simpson Mine Shaft and Bruce Mines Museum, in Bruce Mines, 65 kilometres (39 miles) to the southeast of Goulais River. The Bruce Bay Cottages & Lighthouse and Bavarian Inn are a few of the fabulous Expedia-listed lodging alternatives in Bruce Mines. Or stay in Sault Ste. 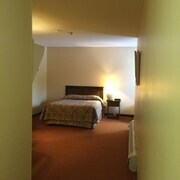 Marie, 15 kilometres (9 miles) to the south of Goulais River, where you'll find the Comfort Inn Sault Ste. 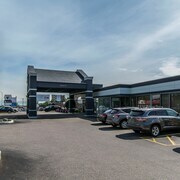 Marie - Canada and Fairfield Inn & Suites by Marriott Sault Ste. Marie. The OLG Casino and Station Mall are a couple of the more popular attractions to check out when you're in Sault Ste. Marie. Why not spend a few hours hanging out with fellow sports fans at a local game. You'll find Essar Centre 20 kilometres (12 miles) to the south of Goulais River. 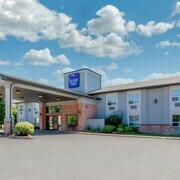 Sleep nearby to the action at the Quality Inn & Suites Bay Front or the Ramada Plaza Sault Ste. Marie Ojibway. Expedia's destination page is a good way to learn more about Goulais River. What are the most popular Goulais River hotels? Are there hotels in other cities near Goulais River? 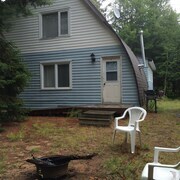 What other types of accommodations are available in Goulais River? Explore Goulais River with Expedia.ca’s Travel Guides to find the best flights, cars, holiday packages and more!